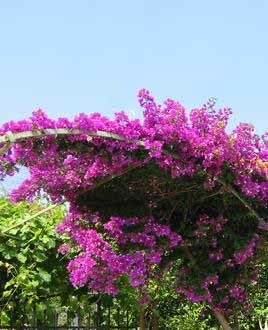 This is a very beautiful island and actually the biggest one of the Ionians. It appeared in cinema screens all around the world, as it was here that the big movie production "Captain Correlli's mandolin" with Nicolas Cage was filmed, a few years ago! Except from its wonderful countryside it is also known for its strange geological phenomena and for having the highest mountain of the Ionian Islands (Mt. Ainos) with a peak at 1630 meters above sea level. It is believed that Kefalonia and Ithaca were one island a few thousand years ago, but now they are separated by the Straight of Ithaca which is approximately 2 miles wide. 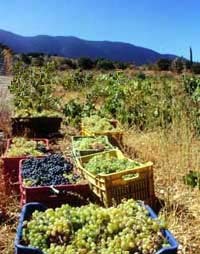 The people of Kefalonia are mainly fishermen and farmers and some of their products are the famous Robola wine, Mizithra, which is a soft tasty cheese and the delicious honey produced high up on the mountains. Here, you will be spoiled for choice, as there are so many places to visit. 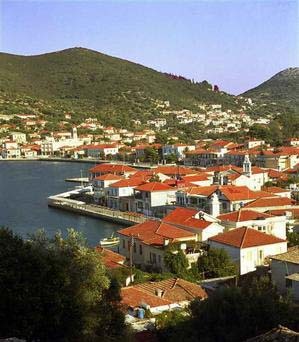 Along its 150 miles of coastline there are many picturesque fishing villages, quiet little bays, crowded endless sandy beaches, tourist resorts, Argostoli which is the biggest town and capital of the island, as well as places of geological interest. You can spend your time sailing around the coast, anchored at a remote bay or lying on the beach. You can go shopping, explore the island, climb the mountains, taste the delicious dishes of the local tavernas or go for a few drinks and a wild night out at the clubs of a village or a tourist resort! The most famous geological phenomenon is at Katavothres near Argostoli, where thousands of tons of sea water continuously pour into the guts of the Earth and disappear! On the other side of the island at the beautiful bay of Karavomilos water gushes up from its depths. After years or research it was concluded that due to a geological disturbance, sea water is sucked in at Katavothres, somehow traverses underneath the island and is then spewed out at Karavomilos! Another place of mystery is Kounopetra, a rock at the south-western tip of the island which makes a continuous rhythmic motion. If you are interested in caves, then close to the seaside village of Sami and at the foot of Mt. Ainos is the 100 million years old Dragoratis cave extending about 300 meters deep into the mountain with its ceiling covered with magnificent stalactites. The underground lake of Melisani is also a place of interest! You can visit it by walking through a cave and then boarding a little boat that takes you around. In ancient times this was a place for worshiping the god "Pana", as various objects were discovered on the tiny island in the middle of the lake! And still, the more active can go for an excursion on Mt. Ainos (walk, cycle, or rent a car) through the forests of a unique variety of fir tree found only here. From its peak you will be taken aback by the breathtaking view of the island and the Ionian Sea all around.